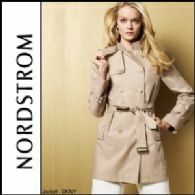 Seattle, Feb 18, 2011 (Global Fashion Wire) - Nordstrom, Inc. ( NYSE:JWN) announced today it has entered into an agreement to acquire HauteLook, Inc., a leader in the online private sale marketplace. The Company said the acquisition will enable Nordstrom to participate in the fast-growing private sale marketplace and provide a platform to increase innovation and speed in the way it serves customers in all channels. The acquisition will build on Nordstrom's success in multi-channel retailing. Recently, these efforts have included implementing an enterprise-wide inventory management system, increasing its Direct business capabilities and integrating its online and store presence to provide customers with a seamless experience. "We are excited to partner with HauteLook as we believe this acquisition further enhances our focus on serving customers online in new and compelling ways," said Blake Nordstrom, president, Nordstrom, Inc. "While our focus on providing a superior in-store shopping experience is our roots, continuing to find ways to use technology to serve customers the way they want to be served is critical. This partnership gives Nordstrom and HauteLook shared growth opportunities as online shopping evolves." Nordstrom added, "CEO Adam Bernhard and his team have built a fantastic business since launching HauteLook just over three years ago and we want them to continue to do what they do well. We think their highly talented team and culture of innovation will be a terrific complement to our business." HauteLook CEO Adam Bernhard said, "By joining forces with Nordstrom, we are giving customers a fuller range of options for the way they shop today." Bernhard continued, "Our established membership base of well over four million shoppers is closely aligned with the Nordstrom customer. We feel fortunate to partner with a company that shares our commitment to providing customers with great brands and an exciting shopping experience." Nordstrom will acquire HauteLook for US$180 million in Nordstrom stock with a portion subject to ongoing vesting requirements. In addition, the transaction includes a three-year earn-out of up to US$90 million in Nordstrom stock subject to company performance and vesting requirements for the existing management team. The overall transaction structure provides significant incentive and retention mechanisms for HauteLook senior management. HauteLook will operate as an independent, wholly-owned subsidiary, be managed by its current leadership and the HauteLook brand and website will remain separate from Nordstrom. The transaction is expected to be dilutive to Nordstrom in 2011 due to non-cash expenses related to the acquisition. The transaction is expected to close in the first quarter of 2011 and is subject to customary closing conditions, including customary regulatory and HauteLook shareholder approvals. Guggenheim Securities, LLC is acting as exclusive financial advisor to Nordstrom and Gibson, Dunn & Crutcher LLP and Lane Powell PC are acting as its counsel. JP Morgan Securities Inc. is acting as exclusive financial advisor to HauteLook and Gunderson Dettmer is acting as its counsel.